Is Bail Reform Coming to Municipal Court? Beginning in 2017, New Jersey all but eliminated cash bail for those arrested for crimes prosecuted in Superior Court. Under Bail Reform, those arrested for crimes remain in pre-trial detention based on an assessment of the danger they pose to the community and the risk that they will show up for court, rather than the size of their bank account. As a result, more people remain free from jail while their charges are pending. This allows them to continue working, remain with their families, and prepare with their defense, and not be subject to the coercive effect of jail to plead guilty solely to be released. Bail Reform does not extend to Municipal Court and those charged with minor offenses. As a result, cash bail continues to be used in Municipal Court. Those arrested for minor offenses without financial resources may remain incarcerated after they are arrested until their case is resolved because they are unable to post cash bail, regardless of the amount set. Recently, the New Jersey Supreme Court issued a report that was critical of certain Municipal Court practices and recommended reform. On July 25, the Middlesex County Assignment Judge ordered that the immediate release of people held in jail on Municipal Court charges who cannot post bail of $500 or less due to the “negative consequences” the practice can have on Middlesex County residents and their families. 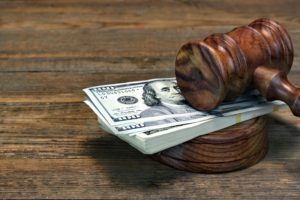 If bail is set above $500 for minor municipal court charges, the person is entitled to a hearing within 48 hours to determine whether the or not the person can be released subject to a future court date. The state judiciary has asked Superior Court Assignment Judges across the state to issue guidance on the municipal court bail process in their respective counties. It remains to be seen how Burlington, Camden, and other neighboring counties will respond the report, but it appears that the practice of cash bail for most matters in Municipal Court is coming to an end. If you or someone you know is facing a criminal charge, is being detained or has questions about any type of criminal matter, the attorneys at Daniel M. Rosenberg & Associates can help. Contact our office for a consultation.